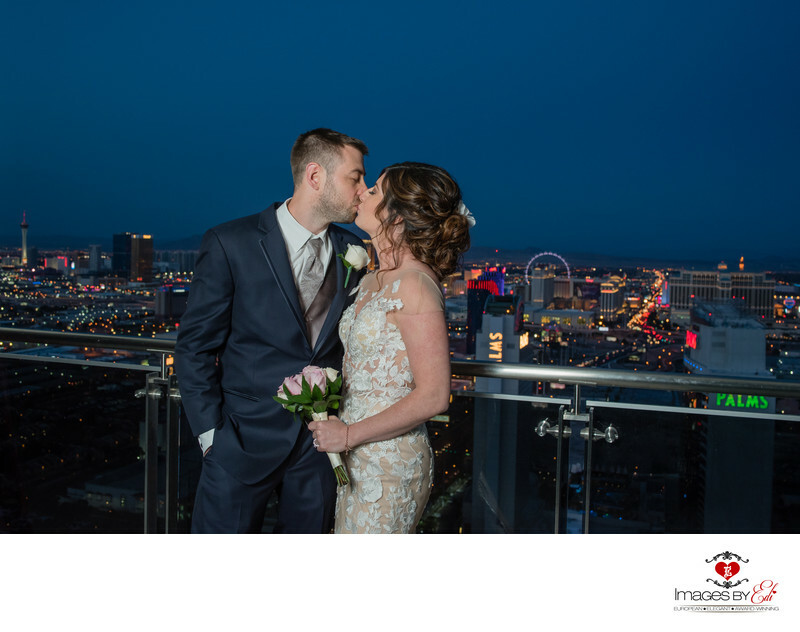 The couple got married at the Waterfalls at the Mandalay Bay Las Vegas Resort, after the ceremony and couple of pictures on the property, we headed to their wedding reception at the Palms Place Hotel and Spa penthouse suite, which has a gorgeous view to the city. I love to incorporate the lights of Las Vegas in wedding pictures. We had the whole city under our feet and the sky was still dark blue behind us after the sunset, but the neon signs of the city were already sparkling. My assistant with an off-camera light gave dimention to the photo. Location: 4381 W Flamingo Rd, Las Vegas NV 89103.